I decided I want to cover some of the many super cute fashion collaborations that are released in Japan. Many of these press release type posts are only in Japanese because the brands aren't sold internationally. 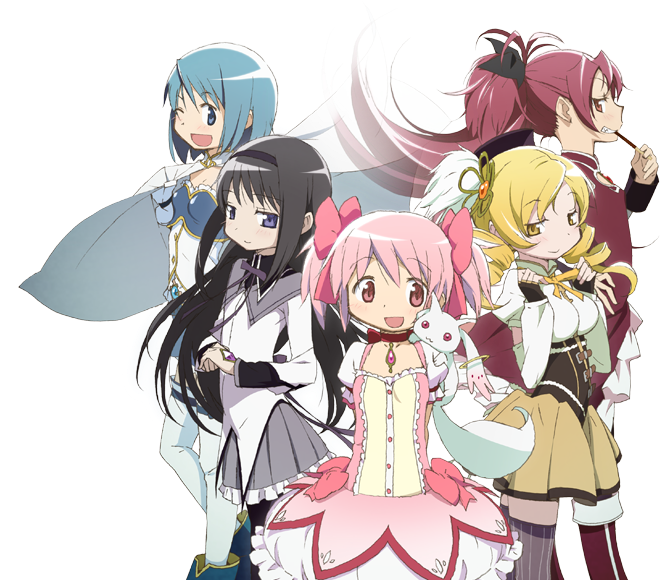 I'm a huge fan of magical girl anime series, so I really like Madoka Magica. 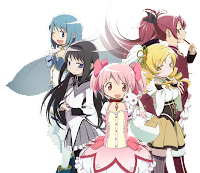 If you have never watched it, I highly recommend it in general but especially to people who are into the idea of a cute magical girl series with a darker plot. I'm all about these winter pieces from the Madoka Magica x Earth Music and Ecology collaboration. I am one of those people who gets cold often, so every winter I feel compelled to replenish my warmer clothing collection. The designs in this series are perfect for anime fans who would like to be a little bit subtle about their interests. 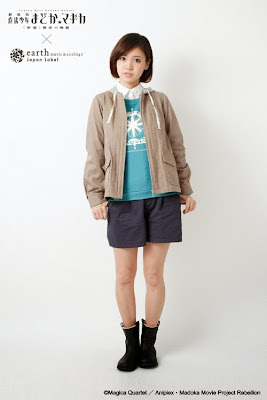 The collaboration items will be released on November 29th. Check them out! 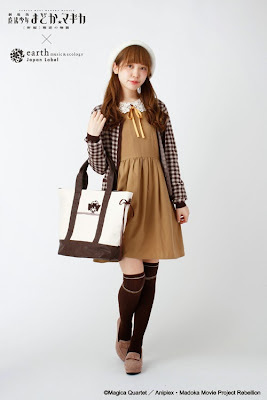 This Madoka Kaname inspired coordinate is adorable! I love the subtle references to the anime through the Kyubey pattern in the sweater and the socks that reference Madoka's dress! The Homura set items are a lot less of an obvious a reference compared to the Madoka ones but still look cozy nonetheless. The article on SG109 says that the skirt has a soul gem flame embroidery pattern on it but it's difficult to see from this photo. The overalls in this Kyoko set apparently also have a soul gem inspired pattern on them. The headband also has an apple design on it and so does the necklace that's also available. The colors in Mami's set match her dress in the anime really well. I like this whole outfit, especially the long socks with the dress. The Sayaka set is a lot different from the rest of them. The shorts also apparently have a pattern on them that isn't visible from this photo. I'm excited to see these in person or at least just a more detailed image of some of these items because I'm curious about these details referenced in the descriptions. The coordinates look cute but it's impossible to see these intricacies in the photos. I think it was really creative for them to release the graphic I used on top of the characters dressed in their respective new clothing! I think out of all of the items, I want the Kyubey sweater the most. What would you choose? 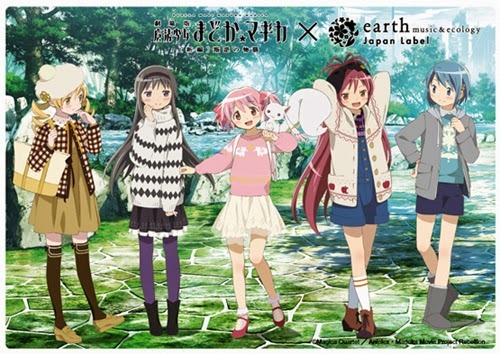 That Kyouko sweater is killing me, do you have any idea if there might be anyplace online that I could buy one once the collection drops? I'm not sure actually but I would say to get them ASAP because I don't see the stock lasting much longer than a month, if even that long.